The quality of Indian democracy will suffer should India lack an opposition leader. 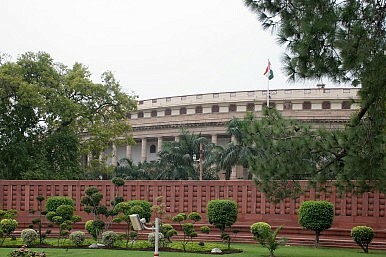 India’s main opposition party, the Congress Party, was officially denied leadership of the opposition in parliament earlier this week. This bodes ill for India, and not just for the Congress Party. While the Congress Party was legitimately denied this position on the technical basis that the official opposition party much have at least ten percent of the seats in the Lok Sabha (lower house) of Parliament, such a decision hurts the democratic process. The opposition in India plays an important role in providing practical criticism of the ruling party. It is also consulted when important appointments are made. Therefore, it is important for the opposition to have a leader who can represent the interests of the non-dominant parties in these roles. The absence of an opposition leader will weaken India as the opposition will not be able to put up a unified front against the ruling party. By denying the Congress Party — the single largest opposition party in Parliament — the position of leader of the opposition, the ruling Bharatiya Janata Party (BJP) has chosen a confrontational path that has further broadened the divide between the BJP and Congress. As it stands, there has not been much cooperation between India’s two largest parties. Had the BJP gone out of its way to give Congress the leadership of the opposition, it would have earned it some appreciation and made cooperation between the two parties easier. The BJP’s decision could be seen as a sign of pettiness. Some of the growing acrimony between the two parties is already visible. Chief ministers of state governments from the Congress Party have been boycotting many joint events with Prime Minister Narendra Modi. This boycott started after the Congress chief minister of the state of Haryana was booed by BJP supporters while on stage with Narendra Modi. This led to the Congress leadership requesting that other Congress chief ministers boycott events with Modi as well. There is no doubt that the Congress Party is paying for its past arrogance. When it won an overwhelming majority of seats in Parliament in 1984, it did not allot the leadership of opposition post to any other party. However, that does not mean that today India should resort to such undemocratic practices. Two wrongs do not make a right. Additionally, in the present Indian political system, the government seems legally bound to consult the leadership of the opposition in the selection of a number of crucial posts, such as the chief vigilance commissioner and the chief of the Central Bureau of Investigation (CBI). The leader of the opposition has a defined role to play, according to some legislation, though the position is not a constitutional position. This seems to contradict the other rule that the leadership of the opposition cannot belong to a party with fewer than ten percent of the seats in Parliament. In short, India’s laws about the leadership of the opposition are myriad and contradictory. However, they should be interpreted and clarified in a manner that provides for a leader of the opposition at all times. Denying the second largest party in Parliament the leadership of the opposition sets the wrong precedent and dilutes democracy. A powerful opposition is necessary to check the power of the ruling party as dissent is extremely important for mature democracies to function properly.